In this unusual "apocalyptic adventure," the titular Mars finds himself waking up to the same school day each morning, only for the world to end once again every night to start all over again. Except it's not entirely the same, as "with each cycle new items can be picked up and topics unlocked." Players will need to "solve brain damaging mysteries" while exploring the many opportunities the time loop presents. You can choose to "take experimental prescription drugs. Talk to a toilet. Get hit by a car. Humiliate yourself repeatedly. All in the name of figuring out what on earth is going on" as you progress through branching story paths. 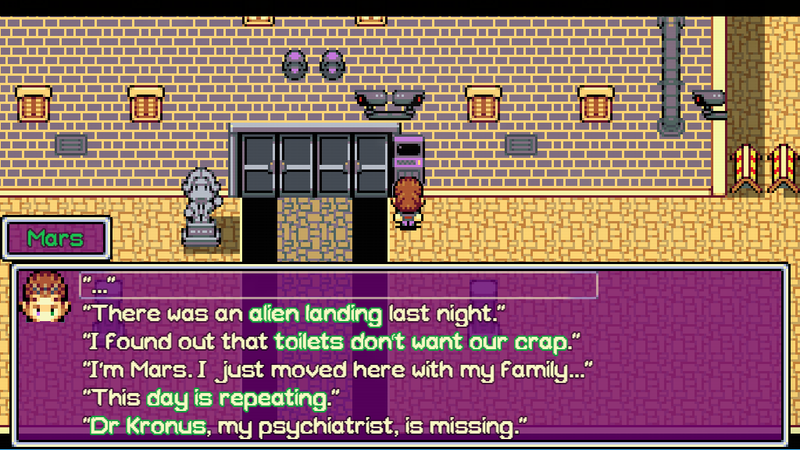 Inspired by films like Groundhog Day and Donnie Darko, Mars Underground features a semi-overhead retro RPG-style presentation, but it promises a "narrative focused gaming experience that favours exploration rather than fast reflexes." Blending "classic adventure game conventions with sandbox-style gameplay," it can be controlled by mouse, keyboard, controller or touch input on applicable devices. Whatever method you choose, the more you try, the more possibilities you'll open up each day on your way to one of the game's multiple endings. If time is of the essence there's no need to wait, as Mars Underground has been released on Steam for Windows and Linux, with Mac and mobile versions to follow. 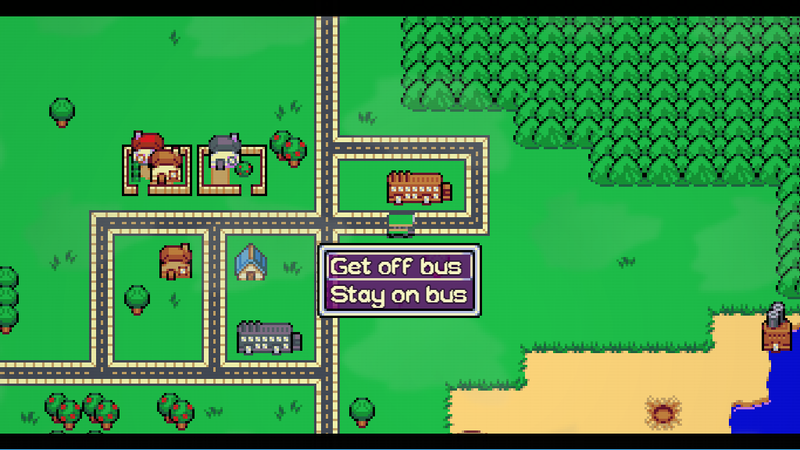 To get a firsthand taste of this time-looping experience first, a demo is available to either download or play in your browser on itch.io and Game Jolt. It’s your first day at a new school.